Our dining room and lounge is now available for reservations! To reserve a table, follow the link or call us at 612-886-1620. The steakhouse offers an intimate, cozy experience in the historic dining room in the northern wing of the 510 building. 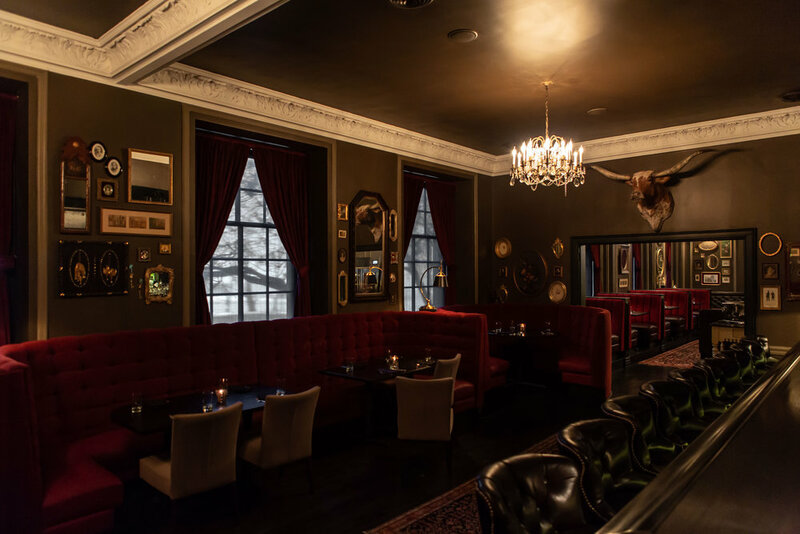 Seating is in booths and tables for two immersed in an atmosphere reminiscent of a Victorian lodge. Love sitting at a classic bar? These seats are at our all-new bar counter in the P.S. Steakhouse in the North wing of the 510 building. Enjoy the same menu offerings as when seated at a dining room table from a plush bar chair. A lively room with chic furniture and marble finishing, the Lounge at P.S. Steak is a separate space from the Steakhouse with its own beautifully remodeled bar. Located in the East wing of the 510 building, the lounge is serving an abbreviated menu of playful yet elevated dishes, progressive cocktails as well as the full Steakhouse menu. Reserve a table for the Lounge an enjoy the warm hospitality of P.S. Steak.